It feels like I've not been sharing much of what I've been doing lately. Part of that is because the things that I've actually finished can't have pictures shown yet...no fun ruining surprises! But the other part is that so many of the things I'm doing are so unfinished. It's like I'm living in a world of craft supplies. Which isn't so bad. So anyway, above are three things that I'm working on in Elsie's class. 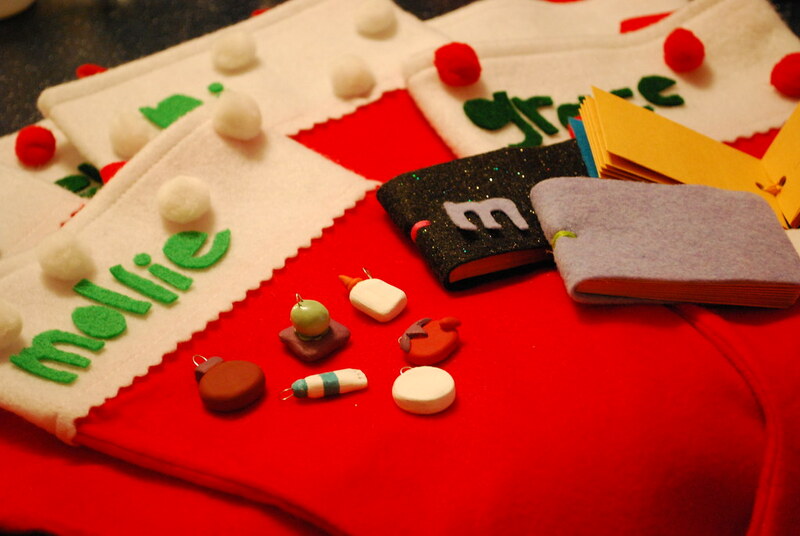 Stockings for the family, mini envelope books and clay charms. SO much fun to be had that I'm a little behind. 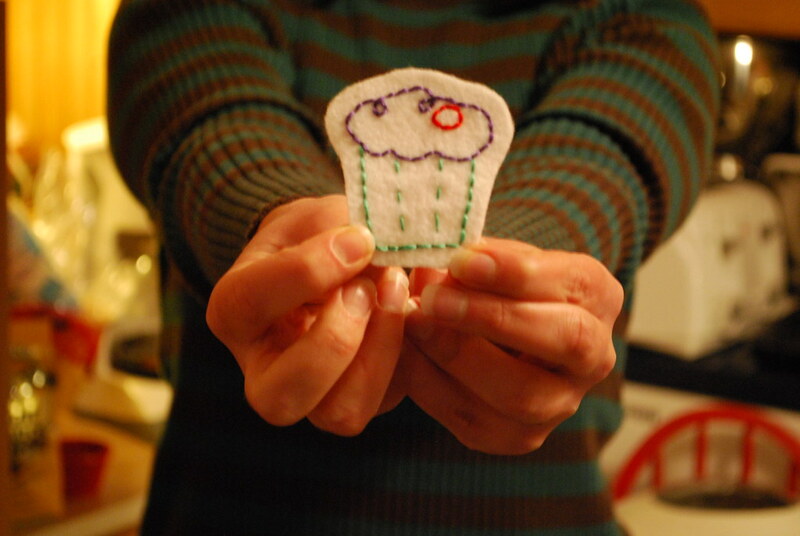 I stitched up this little cupcake patch to go on my sister's stocking...and I didn't even draw it out first! Risky, but it worked out. PJ has been busy too. He commissioned this embroidery pattern and stitched it all up. 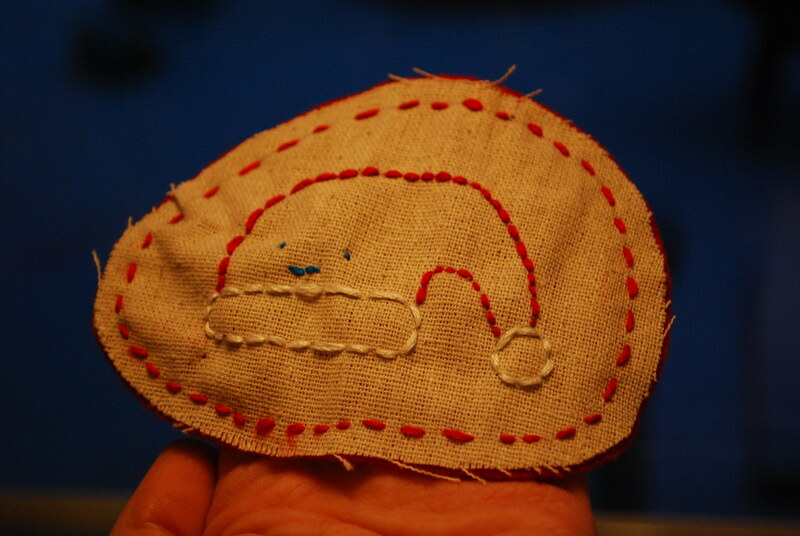 He learned how to do a backstitch for this, and apart from a few reminders that his stitches shouldn't get too long (boys...wanting to finish quickly), he did so well. I'm going to add a hanger of some kind to make it an ornament he can give someone. Tomorrow, pictures of our "recycled" tree. I love your little cupcake!